A new mobile app that enables your field-based staff to handle enquiries, quotes and orders remotely. ROAD fully integrates with our prof.ITplus software which has been proven to increase the speed and efficiency of your business processes. 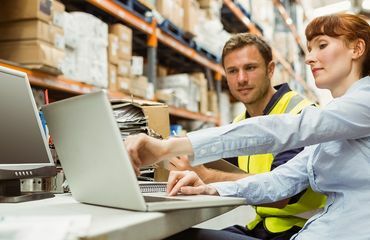 ROAD is delivered via both Android and iOS compatible software, enabling key sales information to be viewed and processed by employees in the field. The application is simple to use and can be accessed with or without an internet connection. ROAD has the ability to make your field sales teams more self-sufficient, thus reducing time, resource and potential input error in relaying information back to the office. Provide accurate information to your team on the spot, enabling them to negotiate with the customer, provide immediate quotes, sales orders or replenishment orders and convert existing quotations to sales.